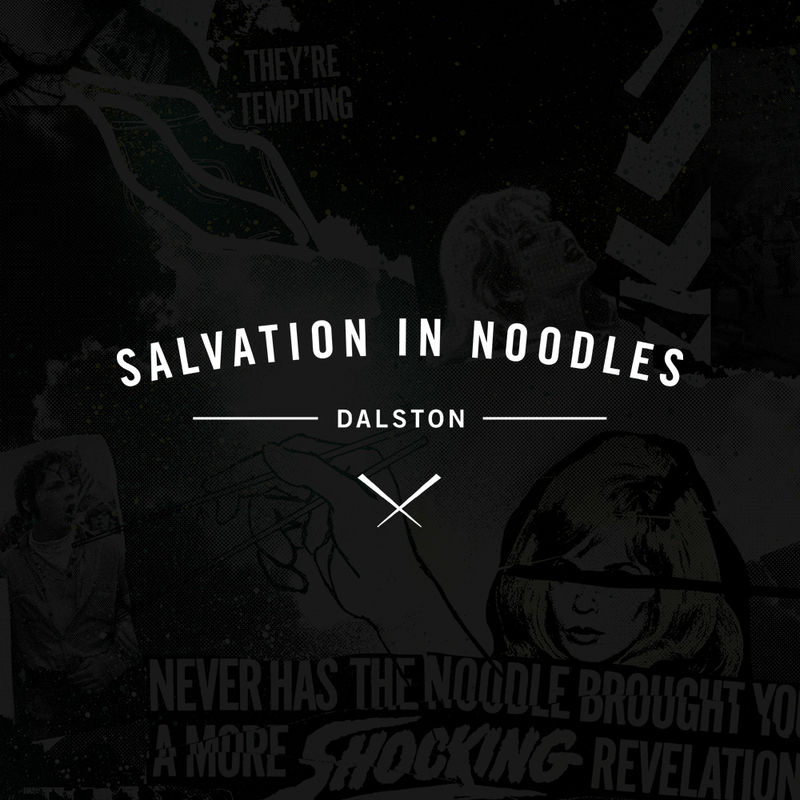 Salvation In Noodles is a full brand identity for a new restaurant located in the middle of the hustle and bustle of Dalston, East London. 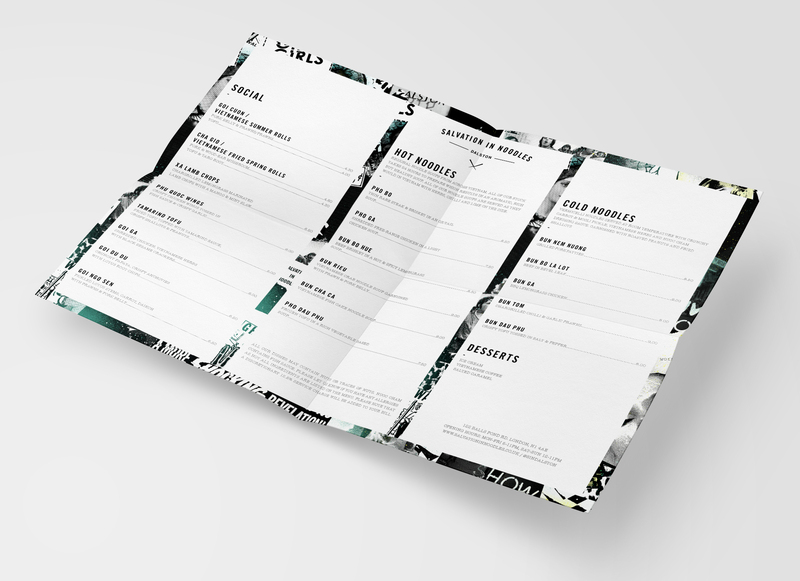 The clients backstory centred around their food which used traditional methods of cooking rather than the processed and packaged flavours of their competitors. 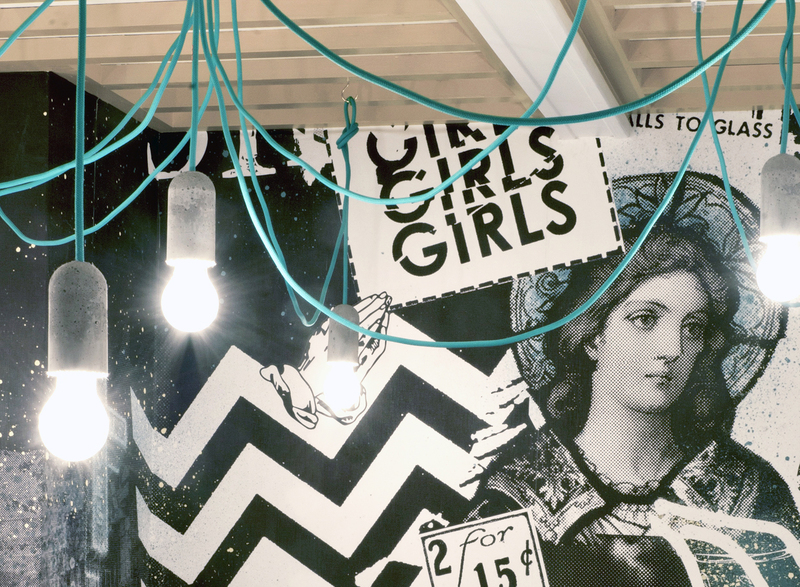 Lyons and Tigers developed a name that positioned the brand as the saviours of the noodle and worked this across the logo, brand mark and throughout the interiors. 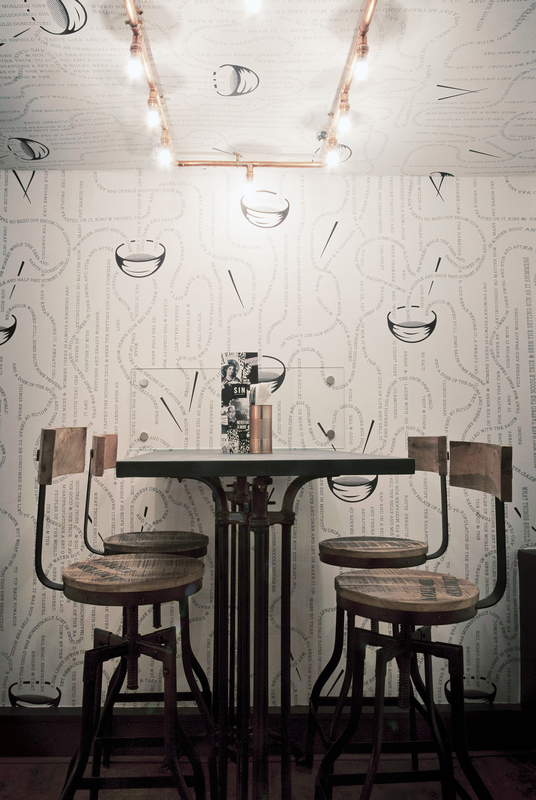 Elements of the design and story are also contained within the wallpapers and cutlery. 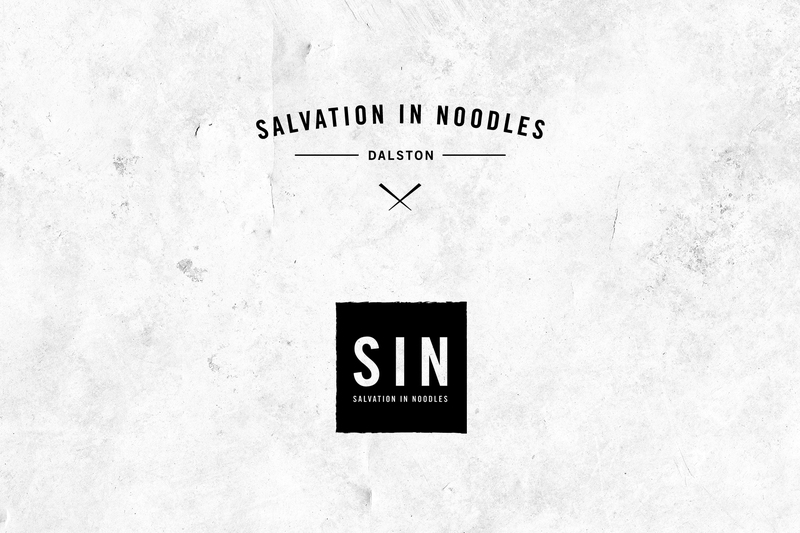 The logo type has a modern industrial style, while the brand mark focuses on the word SIN and has a bold, recognisable look that is simple and memorable.